I'll post some photos of pre-build parts to be used in my stove. One item is the vegetable steamer basket. 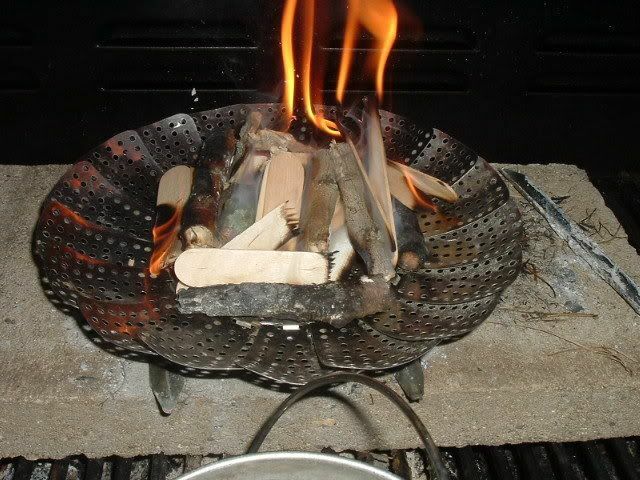 It will help contain the fire and aid in removal of ash. I'm withdrawing my stove from the contest because of "conflict of interest". This thread will be moved to the Wood Stove forum. Let's see..RR's out..I'm probably out(due to other things on my mind recently(death and taxes) and lack of interest in finishing mine..I'd never use it)..you're out...anybody in? realityguy wrote: Let's see..RR's out..I'm probably out(due to other things on my mind recently(death and taxes) and lack of interest in finishing mine..I'd never use it)..you're out...anybody in? I thought yours was already done a month ago. 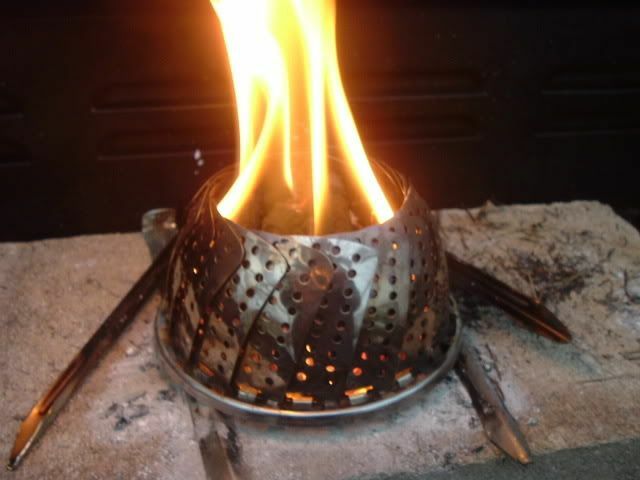 The stove body is a popcorn container that you can find in thrift stores. The wire base it sits on is thrift store item. Stainless steel elbow for flu pipe is thrift store item. Monday I'll put it all together and fire test it. 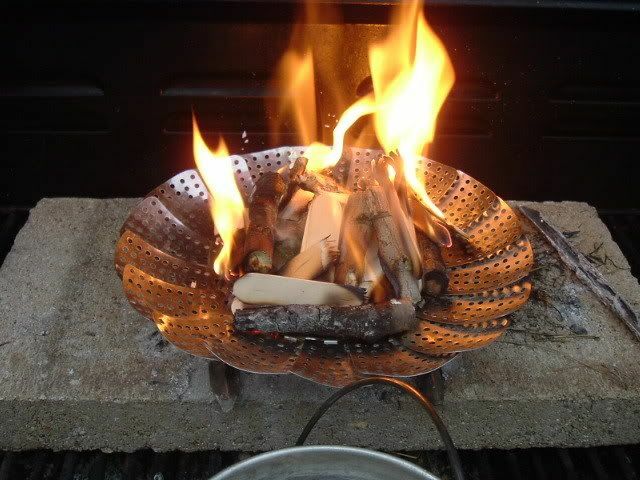 What is the purpose of the fiberglas in a woodburning stove? I really like your support shelf. If I had found one of those, I would have made my keg stove laying down instead of standing up. You can use your spot welder to attach a small shelf on top to set a cookpot. 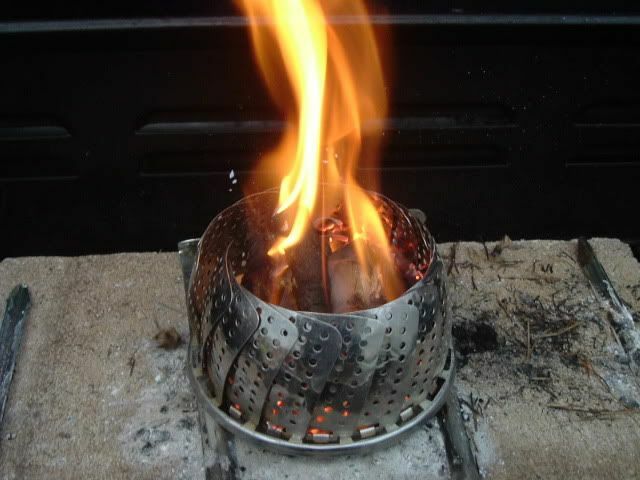 Ridgerunner wrote: What is the purpose of the fiberglas in a woodburning stove? I really like your support shelf. If I had found one of those, I would have made my keg stove laying down instead of standing up. You can use your spot welder to attach a small shelf on top to set a cookpot. 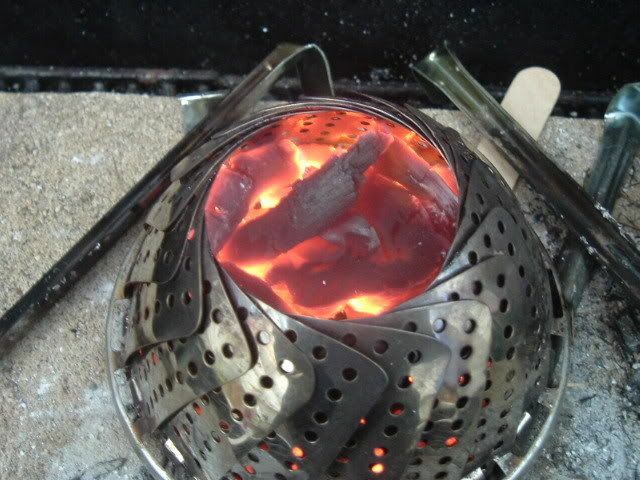 To prevent burnout of the thin walls and get a more even distribution of heat. The spot welder is pretty handy. I'll try not to use it. I have stainless steel pop rivets to make it more DIY . Easy for everyone to have a pop rivet gun than a welder. Easy for everyone to have a pop rivet gun than a welder. Definitely a lot cheaper. I have not seen a spot welder at any garage sales but always keep an eye peeled for one.